Softphone by CallTrackingMetrics– No More Desk Phones! With CallTrackingMetrics latest softphone update, your can turn your computer into an advanced phone and call controller so you can easily handle all of your phone needs without any physical hardware or complex PBX systems. This system allows you to easily combine the great marketing and call tracking analytics engine behind CallTrackingMetrics with your contact center–not only saving you money and reducing complexity but allowing you to also increase the value of getting marketing data and sales data closer together. Here are some highlights of the CallTrackingMetrics softphone system. Route calls to agents using either using simple Simultaneous or Round Robin rules or you can use more complex rules that determine which agents to ring to based on a weighting factor, time of day, location of caller or current capacity. In addition to routing calls through the softphone, Call Queues allow you to dial them on their landlines and mobile phones with an additional option for agents to press 1 to accept this call prompt to ensure they are actually answering instead of ringing to their personal voicemail box. 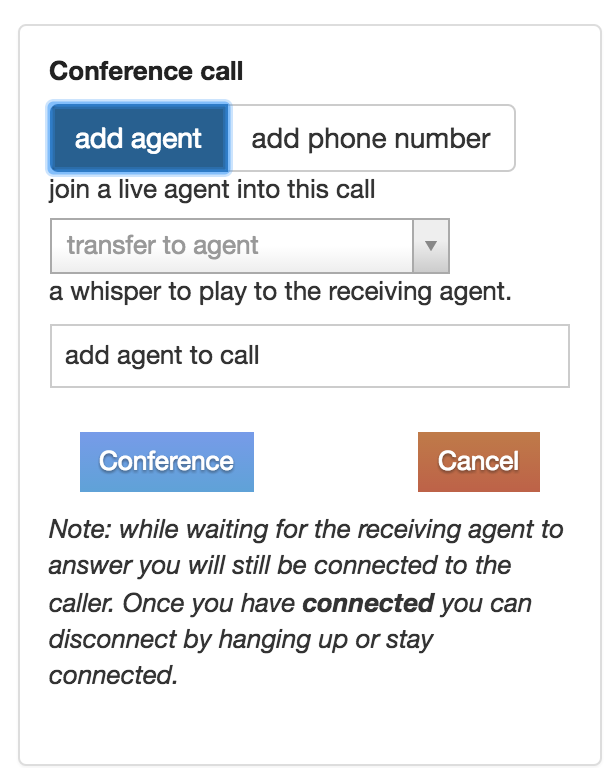 Agents can use the softphone to quickly and easily place outbound calls right from the call log (click the orange phone button in the upper right or click the call button next to the name of a particular caller). This is useful for either returning calls from within the realtime call log or by looking up an existing contact via our quick contact search feature. Within the phone, start typing in a phone number or contact and we will search through everyone who has ever called you. In addition, you can choose to have your outbound calls recorded, which can be turned on from the call settings page. This is a great tool to ensure you never miss a detail on calls and for managers to evaluate call quality after calls complete. 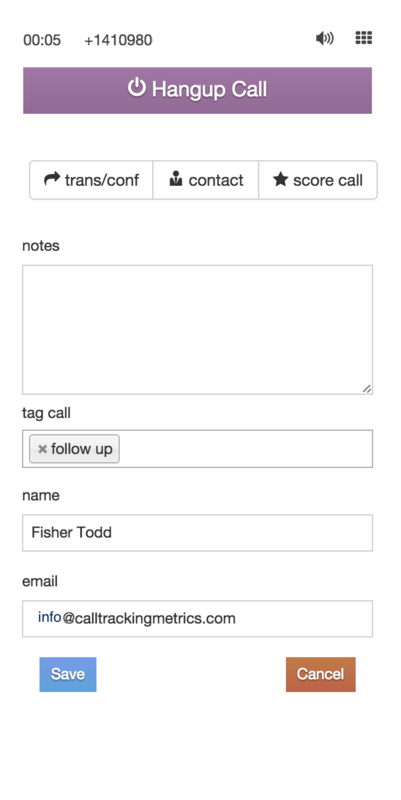 All outbound calls appear right in the call log just like your inbound calls. You will see they have an outbound arrow distinguishing them from your inbound calls. Using our softphone it’s now easier then ever to transfer to either another agent within your contact center or to any outside phone line. You can choose to play custom whispers to the agent you are transferring the call to as well- such as the account ID of the person on the phone. You can also do live transfers or conference in multiple parties. Our conference system is capable of handling 100s of people so you can even use it for teleconferences- imagine the cost savings and simplicity of not having to have a 3rd party service for your teleconferences. And all of your outbound calls can be recorded right in CTM, so you can access recordings of your conference calls right from the call log. While you’re on a call you can manage the contact information for the current caller without leaving CallTrackingMetrics. We provide you with easy access to a place to capture notes, add tags email and name of the caller. We hear from many customers that these features allow them to use this system like a mini CRM. We are very excited about the softphone and the potential value it has for our customers. Please try it and let us know what you think. We are adding features to the system daily and we are working hard everyday to incorporate your feedback to make CallTrackingMetrics the best analytics and phone system for your business.